You know what they say about excuses, right? 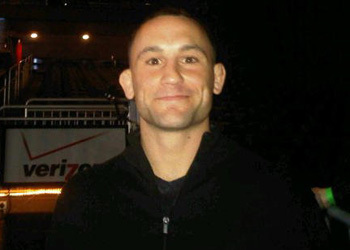 Well, reigning lightweight champ Frankie Edgar apparently had one to offer up, but opted not to after thoroughly trouncing former king BJ Penn to capture the title at UFC 112. According to Fighters Only, Edgar was diagnosed with a staph infection shortly before their April 10th scrap, but was deemed healthy enough to fight. This is the first time this information has come to light. A person close to the champion relayed the news to the popular MMA magazine, however was initially reluctant for it to become public knowledge. After some careful consideration, the “impeccable” source allowed FO to move forward with the news, as it would provide great promotional content for their rematch at UFC 118. Shortly after Valentino leaked his client’s condition, Penn was bombarded with backlash from fans thinking he was searching for an out instead of being gracious like he is after winning fights. Word from the mainland must spread quickly because the Hawaiian vehemently denied that he wasn’t at his best in Abu Dhabi. “No, no, no I wasn’t injured. I wasn’t injured … I felt good for the fight and I just wish I could have put on a better show,” Penn sheepishly told Fighters Only.